One of a series of pictures of the theatre. It was built against the side of a hill and held 30 rows of seats divided by a diazoma. 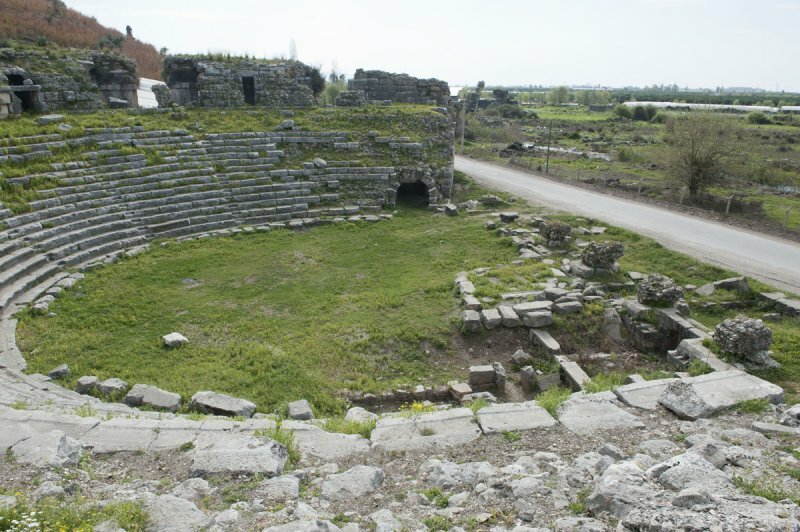 A maecenas from Rhodiapolis, Opramoas, donated 20.000 denarii to have it built.